A huge blast has partially demolished a luxury hotel in the north-west Pakistani city of Peshawar, killing at least 11 people and injuring dozens. 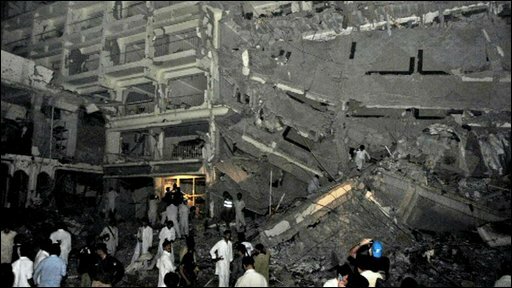 Reports suggest gunmen stormed the premises of the five-star Pearl Continental just before the blast. The BBC's South Asia correspondent, Chris Morris, reports.